Marc Ollivier of Domaine de la Pépière is an example of a winemaker who has grown with his vines. In the early 1980's Marc, who was an engineer at the time, decided to move to the country for a slower pace of life. His father owned some vineyards in the cool Atlantic-influenced zone of Muscadet-Sèvre-et-Maine, but was not a winemaker. 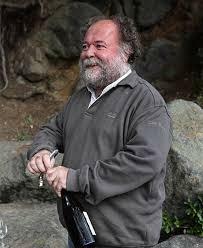 Marc took over his father's vineyards and bought a parcel called Clos de Briords from an elderly neighbor. Marc's first vintage was 1985. Today, many of Marc's vines are 40+ years old, and some of his vineyards are planted on granite soils, a rarity in the region. His primary goal as a winemaker at the time was to simply complete fermentation. As such, he began fermentation using cultured yeasts and finished the wine off with a dose of SO2. As Marc matured as a winemaker, he experimented with ambient yeasts and began bottling with minimal amounts of SO2. The results were extraordinary; the wines showed greater depth, richness and complexity. Encouraged by his success, Marc began transitioning all his vineyards to organic and continued his minimalist approach in the winery. His racy, lemon-tinged, mineral-driven Muscadets have since become the benchmark for the region and have opened up a world of previously unknown potential in the area. Marc's success is combination of good fortune (his vineyards were never touched by wine consultants encouraging new, higher yield clones) and an open-minded, experimental approach to making the best possible wines. All the vineyards are from original stock: Ollivier is the only grower in the Muscadet who does not have a single clonal selection in his vineyards. The fruit is hand-harvested (a rarity in the region) and only natural yeasts are used for fermentation. Extended lees contact, often until April or May of the following year, adds added depth to the wines.